Our local market boasts a hairy, wild looking guy who shows up in his battered van every week selling locally made chèvre and fresh eggs. He is actually very sweet and approachable, and yesterday gave me an extra piece of cheese as un petit cadeau. Needless to say, I'm enamored. frais, mi-frais, mi-sec and sec. Over the last year I have tasted the frais and the mi-sec, so this week I decided to bring home one of each and do a little taste test. 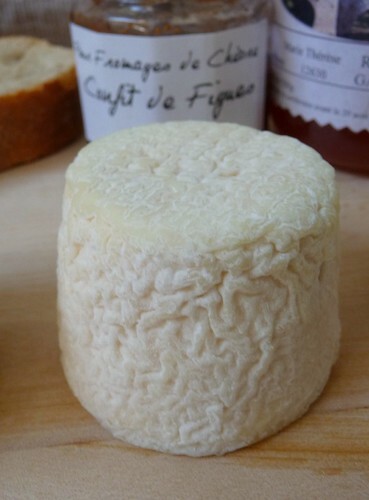 The plump, snowy white chèvre frais is fresh, milky and tangy tasting. Fresh as in green grasses and tangy as in sour and citrusy. Its texture is fluffy and light, and it crumbles rather than slices when cut into. 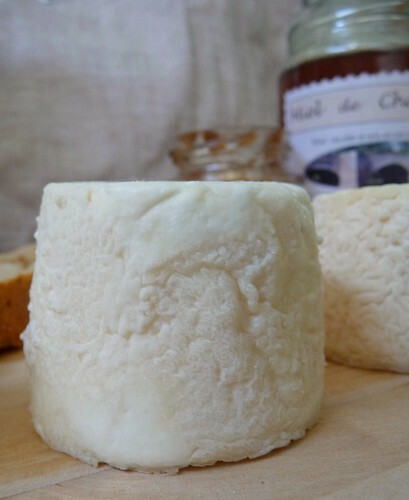 This is the kind of chèvre that deserves to be drizzled with honey or served with a spoonful of fruit confiture. I can also imagine it spread thickly on a slice of rustic olive bread. The chèvre mi-frais is also crumbly and is the tiniest bit chalky. Surprisingly, it is the mildest of the four. Its tangy and sour flavors are much more mellow than the chèvre frais and there is no hint of goatiness. It has a wonderful, rich mouthfeel and a sweet, milky flavor. 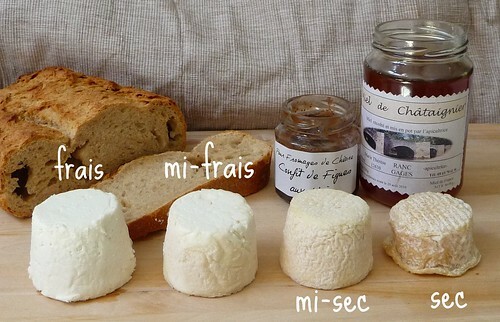 My favorite of the four is the chèvre mi-sec. 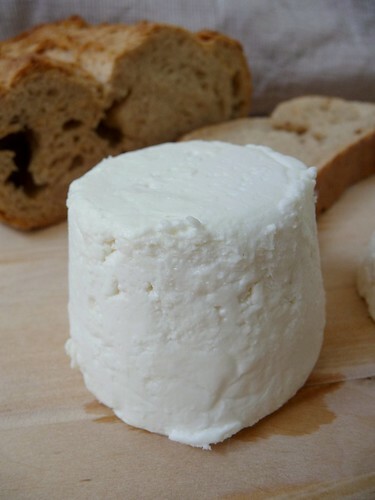 It is the essence of a perfectly ripened, well balanced fermier goat cheese. 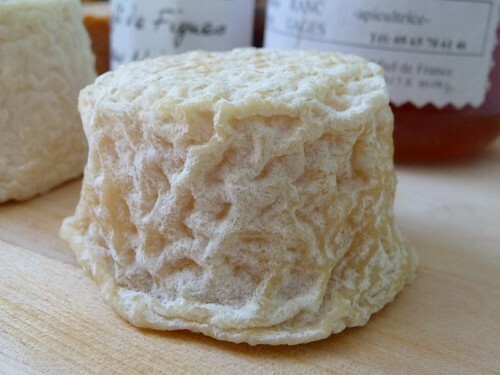 It is very finely textured and quite chalky and the flavor starts out delicate and soft, then opens up into a rich, mildly salty and perfectly "goaty" goat cheese. The most mature, smallest and wrinkliest of the four, chèvre sec, was my least favorite. It seemed too sour and ripe and overly infused with barnyard, goat flavors. The hints of mushroom and herbs were nice, but the other flavors took over. This cheese is buttery smooth and dense and I'm sure it has some fans. Just not me. Along with the cheese taste test, I did a wine pairing taste test. Neither the Minervois red nor rosé worked with any of these chèvres. But the Vin de Pays d'Oc white from our local co-op, les Trois Blasons, was fantastic! Just a reminder: Join me for the 8th Fête du Fromage International Cheese Tasting Event in May, please have your entries to me by May 13. I'll post the round-up on May 15. Tell us why you chose this particular cheese. Tell us how it tasted. Tell us about its texture and aroma. Did you eat it on its own? Or with something? Did you drink anything special with your cheese? Would you recommend it or not? Is there something unusual or interesting about it? we picked up a similiar lineup of chevre in the Loire near Sancerre - 6 of em I think as you laid out - I would agree with you on the best with the oldest pretty darn sharp and somewhat disagreeable! darn interesting however on aging - same with wine, scotch and many other food products I am sure! we will be in New Eng soon - suppose we will get our fill of cheddar up there in Vermont and maybe some other specialty cheeses! one more thing - whats your favorite kind of jam etc to have with cheese? didnt appreciate this until dinner in Provence when a lady chef made homemade yellow plum jam that was great with all kinds of cheese! Wow thanks for the comparisons, that was really interesting to read. I didn't realize there was a sec goat cheese. Who knew? Interesting read....my taste buds are awake and I thought I was done for the evening. Oooh what a nice post. Love the photos and the comparisons. Once in Monoprix I saw an assortment of herb-flavored fruit jams to eat with cheeses - like thyme-flavored cherry or cumin-flavored pear preserves. They were good. Never saw anything like that in the US. Loulou, ask your goat cheese guy if people call them "des bleus" down there. Here in the Cher River Valley, a "bleu" is a demi-sec or sec chèvre. Fact is, the goat cheeses here are coated in wood ash that gives them a kind of blue-gray color. And by the way, on TéléMatin the other morning the food commentator David Martin said that more than 5,000 different chèvres are made in France! In my fridge right now I have a tub of fromage frais de chèvre, which is totally different from a chèvre frais. I totally agree with you. Mi-sec is by far the best when it comes to goat's cheeses. Are Belgian cheeses also 'welcome' in your monthly 'fête du fromage'? I can't join the 'fête' right now, because I don't have a blog yet, but I'am seriously considering starting one pretty soon. So if you are interested in Herve, Passendale, Brugse Blomme, etc. I will be happy to oblige. Enjoy some Vermont cheddar for me! I like fig or cherry jam with fresh goat's cheese. Yellow plum sounds wonderful too. Cheese always makes my mouth water, any time of the day. 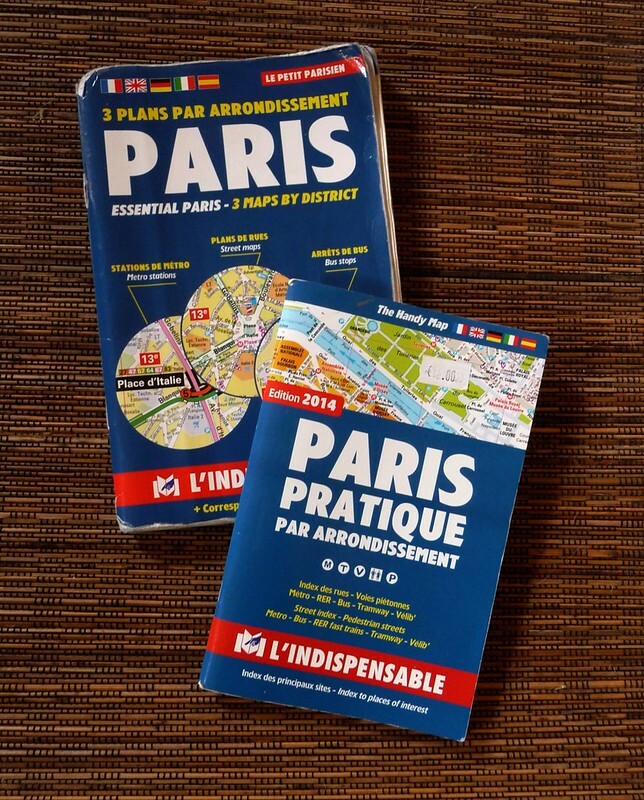 I'll have to look for those in Monoprix...sounds interesting. Thanks for telling me about them. I'll ask him about "des bleus" next week. 5,000? Looks like I'll be tasting cheese for the rest of my life! Fromage frais de chèvre sounds great. Have had the cow's milk variety, but not the goat's milk kind. Do you put fruit or honey on it, or eat it plain? Belgian cheeses are absolutely welcome! And you don't need a blog to participate. Please join in! It would be great to learn about Belgian cheeses. Completely agree on the mi-sec chevre, but a nice chevre frais with herbes is sublime as well. Just picked up some more of his cheeses at the market this morning. He has a new one: fresh chèvre covered in crushed walnuts and raisins. Can't wait to try it!